If you are a published author—or plan to be one—you will inevitably be asked to appear on a radio, television, or Internet show to talk about your book. It’s critical that you learn to do this well. Assuming you have written a good book, nothing drives sales of it more than publicity. I was personally thrown into the deep end of the pool with my first book. In the course of eighteen months, I did over 1,200 interviews. I appeared on all three major television networks plus CNN, as well as national and local radio and television. During that time, I went through three rounds of professional media training. It was total immersion. Baptism by fire. More recently, I have sat on the other side of the table, interviewing authors. I have hosted the Chick-fil-A Leadership Backstage program for the last two years where I have had the privilege of interviewing the speakers after they spoke. In addition, I routinely interview authors for my own blog. Sadly, while most authors spend a lot of time honing their writing skills, very few hone their interviewing skills. As a result, their books do not sell as well as they should. Prepare thoroughly for the interview. Before the publication of each book, I have identified all the questions I might be asked. I have then written 3–4 talking points in response to each question. I don’t write out the answer verbatim; that would sound too canned. I then prepare a “Briefing Book,” using a three-ring binder with one tab per chapter. Behind each chapter, I put the relevant talking points, statistics, and illustrations. I ad lib from that. Remember that the show is not about you. This is a big mistake many rookie authors make. You are not the star of the show. The host is—or perhaps more accurately—the audience is. You are there to help them get what they want. Your job is to keep them interested in the topic, so they don’t change the dial. This is key to the producer keeping his or her advertisers happy. Understand the audience. You can’t help the audience get what they want unless you understand them. Television shows, radio shows, and Internet shows are used to providing demographic and psychographic information to their advertisers. You can cut right to the chase by asking the producer or the booker for this information. In addition, before interview begins, it is a good idea to ask the producer if there is anything in particular you should know about the audience. Don’t expect the interviewer to have read your book. Many first-time authors complain that the interviewer didn’t read their book. Trust me: this is the norm. Assume that the interviewer hasn’t read your book, and you won’t be disappointed. And whatever you do, don’t embarrass them on-air by asking! Instead, make the host look smart by providing the producer with a list of questions to ask. Nine times out of ten, they will ask you these exact same questions. Be able to explain what your book is about in a few sentences. Many authors cannot do this. They have never crafted an “elevator pitch.” Here’s the concept: You get on the elevator of the NBC building in New York City. You suddenly discover that the producer for The Today Show is standing next to you. Being polite, she asks what your book is about. You have 10 floors to tell her—about three sentences. You need to write this out and memorize it. It should be no more than 2–3 sentences. Listen carefully to the questions. It is easy for authors to become anxious and interrupt the host. This is never a good thing. Plus, you might find yourself answering the wrong question. Make sure that you let the interviewer finish. Then affirm the question. Even if it is combative, you can say something like, “I totally understand where you are coming from. In fact, I had that same concern when I first started researching this book.” Then answer the question—don’t dodge it. Keep your answers brief and to-the-point. There is nothing worse than a rambling author who is missing the interviewer’s cues. The host keeps trying to interject a point or “bring the plane in for a landing.” Perhaps the producer has already queued the music, but the author keeps right on talking. This is not good. A good interview is like a ping pong match: the interviewer hits the ball over the net. The author then gets in position and hits it back, starting the cycle all over again. In addition, you need to speak in sounds bites. Be energetic and authentic. From the interviewer’s perspective, there is nothing worse than a low energy, superficial interview. Instead, you must be energetic. If you are not excited about your book, how do you expect anyone else to be? If you are doing a phone-in radio interview, stand up. Walk around. Smile. Even though your audience won’t see any of this, they will hear it in your voice. Believe me, it makes a difference. Writing a great book is half the job. The other half is embracing your role as the book’s chief spokesperson. If you do this well, you have a chance of creating a long and successful writing career. 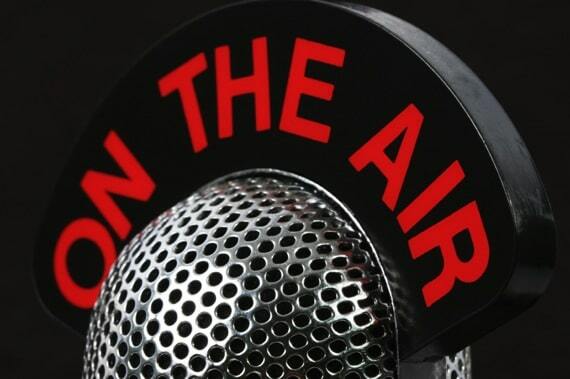 Question: What other advice would you give to authors about doing radio and television interviews? You can leave a comment by clicking here.